A series of bio-retention and stormwater courses that create a linkage of courtyard and outdoor spaces accessible to Lowe’s employees. 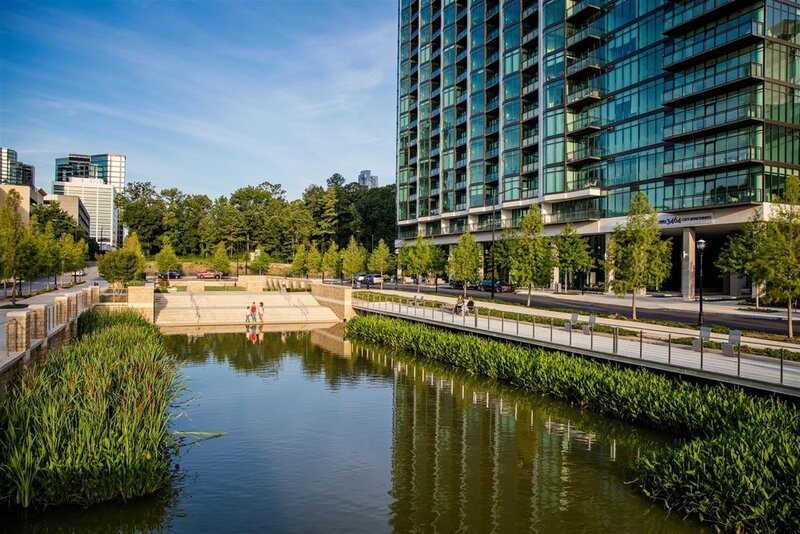 The allocation of greenspace focused on a central lower portion of the property, enabling the open space to potentially provide dual purpose for centralized stormwater management as opposed to utilizing a traditional underground vault system. An interactive water feature between the first building and parking deck is designed to fluctuate between a series of interconnected pools which receive stormwater from the surrounding buildings’ roof, parking deck and storm drains. 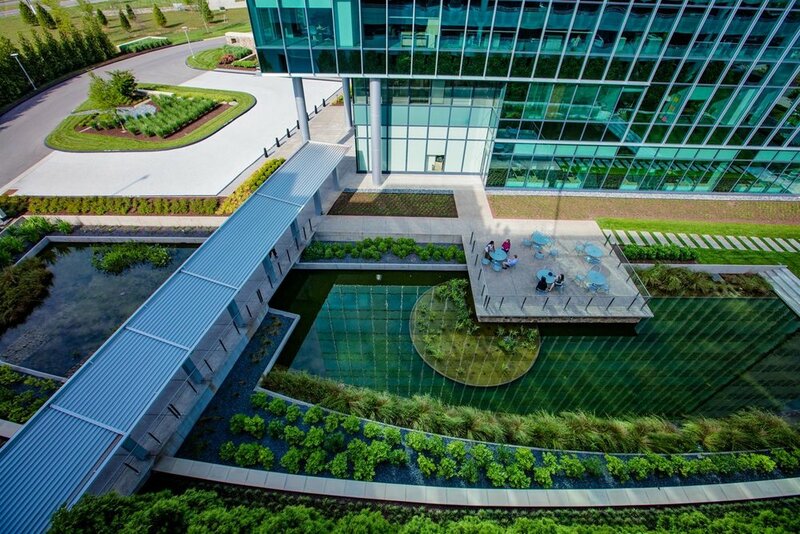 NCR Headquarters’ 40,000-sf green roof is inherently designed to collect and infiltrate stormwater in a functional and aesthetically pleasing manner. A functioning landscape, which helps to filter stormwater, improves the surrounding landscape and increases biodiversity throughout the campus.